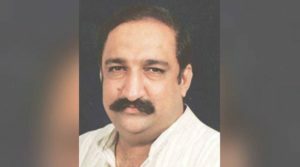 A plea has been filed for the gruesome murder of the former Gujarat Minister Haren Pandya, the plea was filed in the supreme court. Haren Pandya passed away on March 26, 2003, he was a former minister of state during the Narendra Modi government in Gujarat, he was shot dead near the Law Garden in Ahmedabad while he was in his routine morning walk. The plea was filed as there was new information that has come in light, the petition was filed by NGO CPIL. It referred to a recent witness claims in the fake encounter case of Sohrabuddin Sheik, the petition stated that the witness has said during his testimony that Sohrabuddin instructed him to murder Haren Pandya as a contract killing, which was by D G Vanzara. The Ministry of Home Affairs and CBI were made as parties in the case by The NGO. In the statement of Vanzara to the CBI “inquiry into the circumstances in which an identity sketch of the assassin drawn in 2003 that matches Tulsiram Prajapati more than the accused put on trial and the nature of investigation done”. An inquiry on those who made the previous investigation has been requested, as they can also be accountable for the probe. The court in 2007 gave life imprisonment to all 12 of the accused in being a part of the killings, the sentence was given by a Special Prevention of Terrorist Activities court (PoTA). But on 29th of August in 2011, the Gujarat High-Court slammed the CBI and said the probe was rigid and washed up. The High-Court acquitted all the accused from the murder case of Haren Pandya. The CBI has now filed a plea in the Supreme Court of India.